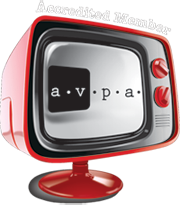 We will when required utilize the AVPA “Standard Production Agreement” as part of requirement in accepting a project. Copyright of any completed work will remain with HDeVolution unless otherwise agreed by both the client and HdeVolution. HDeVolution will NOT use any material supplied by a client unless they are the rightful owner of the material or can show expressed permission in writing proving so. We take pride in offering complete customer support for all our services. We will archive all finished productions so in the event the supplied copies are lost or damaged they can be replaced.